(NO AID TO PALESTINIANS) S. 2265: Introduced 4/29 by Paul (R-KY) and having 17 cosponsors, the “Stand with Israel Act of 2014.” Referred to the Committee on Foreign Relations. The bill seeks to bar all assistance to the Palestinian Authority – irrespective of whether reconciliation talks achieve some sort of unified Palestinian government approved of or with Hamas – unless the PA meets a list of conditions. 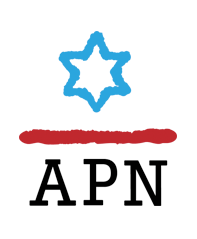 These conditions include: “(1) formally recognized the right of Israel to exist as a Jewish state” and “(2) publicly recognized the state of Israel.” Requirement #1 is, of course, the new “recognition-plus” demand that Prime Minister Netanyahu has introduced into the mix (for background on why this is so problematic, see the APN resource page, here). Notably, in his public statements on the bill (see here and here, for example), Paul appears either to not understand the difference between this demand and the simple demand to recognize Israel, or to be trying to conflate the two. On 5/1, Paul spoke on the Senate floor in support of his bill, making the case for the measure to be immediately discharged from the Senate Foreign Relations Committee and brought to a vote. SFRC Chairman Menendez (D-NJ) objected, both in terms of procedure and the substance of the bill. Their exchange is here. AIPAC reportedly opposes the bill, as do right-wing stalwarts like WaPo’s Jennifer Rubin and Elliot Abrams – primarily out of concern that a wholesale cut in aid to the PA will have negative ramifications for Israel. (SUPPORT THE SETTLEMENTS) HR 4519: Introduced 4/29 by Stockman (R-TX) and having no cosponsors, the “Prohibiting Discrimination Against Israel Act.” The actual description of what the purpose of the bill is: “To prohibit the United States from funding projects that discriminate against Israeli organizations that operate beyond the 1949 armistice lines” – making clear that the bill is not about prohibiting discrimination against Israel, but against settlements and related activity (in effect adopting the Netanyahu approach that settlements and Israel are indistinguishable, and seeking to distinguish between them is therefore a form of discrimination against Israel if not anti-Semitism). Referred to the House Committee on Foreign Affairs. Stockman’s press release on his bill is here. (IRAN SANCTIONS – AGAIN?) S.1881: Is the Menendez (D-NJ) Iran sanctions bill back in play? It certainly bears watching. On 4/30, S. 1881 finally got its 59th cosponsor (Walsh, D-MT) – meaning that the bill crossed the elusive magic threshold of 60 cosponsors, i.e., in principle a sufficient number to break cloture and force a vote on the bill. However, it should not be forgotten that a number of the bill’s cosponsors are on the record saying they do not support moving the bill, preferring to give diplomacy a chance to work (meaning that 60 cosponsors is not a guarantee, in this case, of breaking cloture). Notably, last week Menendez reportedly told the Foundation for Defense of Democracies (FDD) that he still wants to see action on S. 1881 (implying it would be necessary to prevent a bad deal) and reportedly said “I think that time may be coming soon” for the bill to come up again. (SYRIA WAR CRIMES TRIBUNAL) H. Con. Res. 51: Introduced 9/9/13 by Smith (D-NJ) and having 21 cosponsors, the “Immediate Establishment of Syrian War Crimes Tribunal Resolution.” On 4/30, reported out of committee. (SYRIA CRISIS) H. Res. 520: Introduced 3/14 by Royce (R-CA) and having 4 cosponsors, “Calling for an end to attacks on Syrian civilians and expanded humanitarian access.” On 4/30, reported out of committee. (CUT AID TO PA) Rubio/Kirk letter: On 5/1, Senators Rubio (R-FL) and Kirk (R-IL) sent a letter to Secretary of State Kerry stating that recent events prove that Israel does not have a partner for peace on the Palestinian side and urging the Secretary of State to “state publicly that there will be an immediate cut-off of relevant U.S. assistance unless there is full compliance with the letter and spirit of all provisions in the Palestinian Anti-Terrorism Act.” Rubio press release is here. (IRAN SANCTIONS & UN) Deutch/Meadows letter: On 4/14, Reps. Deutch (D-FL) and Meadows (R-NC), along with 41 cosigners, sent a letter to the United Nations Security Council. The letter urges the UN “to hold the Iranian government accountable for violating Security Council Resolutions 1373 and 1747 by attempting to export a large shipment of arms and missiles to terrorist groups in the region…These brazen violations are consistent with Iran’s behavior on the world stage: Iran deliberately defies Security Council resolutions concerning its nuclear agenda; Iran has buttressed the Assad regime’s murderous campaign against Syrian citizens; and its leaders have called for the annihilation of Israel, a fellow U.N. member state. In addition, Iran engages in mounting violations of universal human rights, as the people of Iran continue to suffer repression, discrimination, imprisonment, and torture at the hand of the Iranian government.” Deutch press release on the letter is here. Immediately after the news broke of the latest agreement between Fatah and Hamas to seek some form of national reconciliation, calls started in Congress to cut all aid to the Palestinian Authority. These included statements of an intention to do so by senior members like Lowey (D-NY) and others. What was remarkable about these statements was not that they are being made (there is nothing unusual about members of Congress wanting to score points by showing extra toughness toward the Palestinians) but that they suggest that these same members of Congress do not support the very tough existing law that deals explicitly with the current situation – a law many of these members worked energetically in the past to enact, and most recently re-passed into law in January of this year. Perennial bill language banning U.S. assistance to the Palestinian Authority, along with Presidential waiver authority. Also bars any funding for salaries of PA personnel in Gaza or for Hamas or any entity “effectively controlled by Hamas, any power-sharing government of which Hamas is a member, or that results from an agreement with Hamas and over which Hamas exercises undue influence.” The latter bar does not apply if the President “certifies and reports to the Committees on Appropriations that such government, including all of its ministers or such equivalent, has publicly accepted and is complying with the principles contained in section 620K(b)(1) (A) and (B) of the Foreign Assistance Act of 1961, as amended.” Also, “the President may exercise the authority in section 620K(e) of the Foreign Assistance Act of 1961, as added by the Palestine Anti-Terrorism Act of 2006 (Public Law 109-446) with respect to this subsection.” (For details about what these legal references mean, see the analysis of the House ForOps bill in the 7/19/13 edition of the Round-Up). The section also stipulates that the President can only use this waiver IF he can certify to Congress a number of things, including that “the Palestinian Authority is acting to counter incitement of violence against Israelis and is supporting activities aimed at promoting peace, coexistence, and security cooperation with Israel.” This section also bars any assistance to the PLO. The knee-jerk reaction of some in Congress to suggest that the mere act of seeking reconciliation places the PA beyond the pale – even before it is known if the effort will succeed and if it does, the nature of the government that will result – sends a message that Members of Congress who advocated and voted for the earlier formulation were in fact disingenuous in supporting even the most limited possible opening to reconciliation. Worse, it sends a message that some in Congress oppose their own legislation because they simply aren’t willing to consider taking “yes” for an answer from the Palestinians – that is, they are determined to reject Palestinian unity, even if a reconciliation agreement meets all of Congress’ previously stated conditions. Recent weeks have seen an up-tick in efforts by some inside and outside of Congress to see Israel become part of the Visa Waiver program – accompanied by an up-tick in reports in the media drawing unflattering attention to some of the apparent obstacles to this happening. The first category of developments includes the announcement by the State Department of the formation of a working group to help Israel advance toward joining the visa waiver program. This decision came following pressure from Members of Congress (see the 3/14/14 edition of the Round-Up for details of this pressure), as evidenced by the fact that the news of the working group came from a letter sent by the Department of State to Lowey (D-NY). (Notably, when the issue was raised – and discussed at length – in the 4/22 State Department press briefing, the spokeswoman appeared to make clear that the rules of the Visa Waiver program are and will remain the same for every country, and that the current effort is to help Israel meet those requirements, rather than ease the requirements for Israel). What happens now? According to the Roll Call report and reports from some Hill watchers, Boxer (D-CA) has plans to amend the Visa Waiver language included in S. 462, so that it can be marked up and passed (the bill remains a top priority of AIPAC). At the same time, on 5/8 Senate Foreign Relations Committee Chairman Menendez (D-NJ) signed on as a cosponsor of S. 462 (including Boxer, there are now 62 cosponsors). His decision to do so may signal his intention to allow the bill to move forward in committee in the near future. 5/8: The House Foreign Affairs Committee’s Subcommittee on the Middle East and North Africa held a hearing entitled, “The Palestinian Authority, Israel and the Peace Process: What’s Next?” Witnesses were Jonathan Schanzer, FDD [statement]; James Prince, The Democracy Council [statement]; and Robert Wexler, S. Daniel Abraham Center for Middle East Peace [statement]. Predictably, aside from Wexler’s testimony, the hearing was primarily a forum for grandstanding against the Palestinians, President Abbas, and against peace efforts in general, and for defending the actions and policies of the current Israeli government. Video of the hearing is available here. Ros-Lehtinen’s opening statement is here. Bureau for the Middle East [statement]. Predictably, the hearing repeatedly turned into a forum for grandstanding against the Palestinians and against peace efforts (with great focus on the accusation that the PA is funding terrorism by providing assistance to families of Palestinians held in Israeli jails), and for defending the actions and policies of the current Israeli government. Chair Ros-Lehtinen’s opening statement is available here. Video of the hearing is available here. Gohmert (R-TX) 5/6: Rambling speech denouncing the Obama Administration, for the apparent conspiracy involved in employing people who are married to each other or related to anyone else who does anything of interest. Also attacking Obama Admin policy on Egypt and Israel. Ellison (D-MN) 4/29: Statement on Negotiations Between Israel and Palestinian Authority (on day talks expire): "A lasting peace agreement between Israel and Palestine will require both sides to move beyond inevitable setbacks. Recent challenges in the process prove the need for more dialogue, not less. Both sides should commit to extending the current negotiations period to improve understanding and achieve a framework for peace. The reconciliation of Hamas and Fatah presents not just a challenge but a potential opportunity for a durable peace agreement. I understand Israeli leaders’ opposition to negotiate with a unity government given Hamas’ refusal to recognize Israel and renounce violence. But any agreement that guarantees Israel’s long-term security and an independent Palestinian state will require peace with all the Palestinians, not just one faction." Leahy (D-VT) 4/29: Statement that under current circumstances, "...I am not prepared to sign off on the delivery of additional aid for the Egyptian military. I am not prepared to do that until we see convincing evidence the government is committed to the rule of law." Cotton (R-AR) 4/29: Condemning Kerry's comments on Israel and calling "at a minimum, should apologize for his remarks and the damage they have caused." Gohmert (R-TX) 4/29: Rant against Obama Administration and Kerry for using word "apartheid," going after J St, etc, etc, etc..
Cantor (R-VA) 4/28: Statement: "Secretary Kerry Should Apologize to the Israeli Government and People"
Gohmert (R-TX) 4/28: Shocking brief statement slamming Kerry for using word "apartheid" and warning of retribution from God: "Secretary Kerry stands for those who support the destruction of Israel . He should not be speaking for this Nation. He needs to stand down before he brings judgment upon us all." Gohmert (R-TX) 4/28: Another amazing brief statement, this time concluding: "Secretary Kerry stands for those who support the destruction of Israel. He should not be speaking for our nation. He must stand down or be removed from office." Bachmann (R-MN) 4/28: Calling on Kerry to apologize to Israel and resign for using the word "apartheid"; also slamming Palestinian President Abbas for refusing to recognize Israel as a Jewish state and for seeking reconciliation with Hamas; defending settlement construction; claiming Iran will nuke both Israel and the U.S.; etc. Ros-Lehtinen (R-FL) 4/24: UN Once Again Proves That it Has Become Nothing More Than a Hypocritical and Feckless Institution That Legitimizes Rogue Regimes (on Iran's appointment to the UN’s Commission on the Status of Women and the U.N. Committee on Non-Governmental Organizations, among other things).